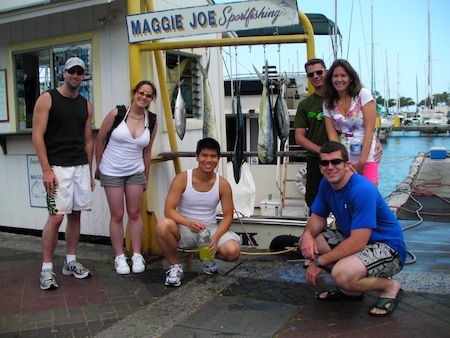 The Ruckus took the Hutson Family out for a day of Sport Fishing Hawaii’s beautiful waters. They brought in 2 Mahi Mahi. Nice job guys! The Ruckus went out deep sea fishing off Oahu today and brought in 8 shibi and 8 aku. Nice job! The Ruckus enjoyed a day of sport fishing off of Oahu today. They brought in 4 aku and 5 shibi. 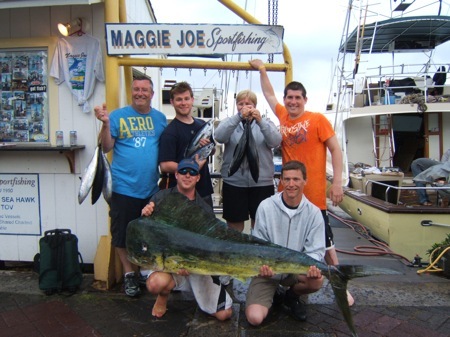 Joanne, Bill, Zach and Jim joined the Sea Hawk for a day of deep sea fishing out of Waikiki. 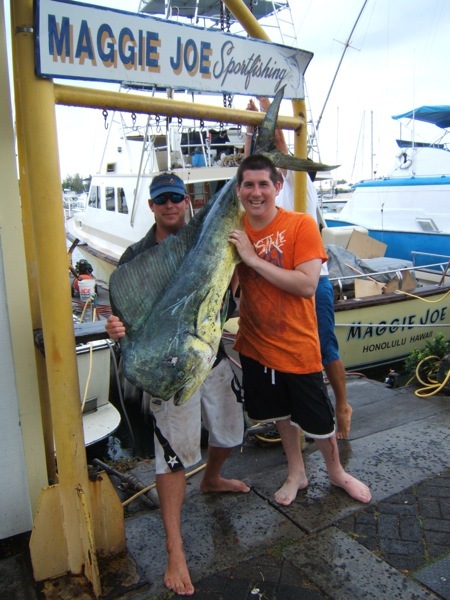 Capt Scotty & Mate Arya helped them to bring in 1 kava kava and a 32lb ono. Great job! The Ruckus had a great day deep sea fishing with Kevin, Joe, Brian, Steve and Jackie. They brought in 1 Mahi Mahi, 8 Shibi and 1 Aku. Great job guys! The Ruckus went out for a day of sport fishing out of Honolulu. They brought in 2 Mahi Mahi. Geoff, Christina, Mike, Jon, Stefani, & Aaron came deep sea fishing out of Waikiki on the Ruckus. They brought in 3 Mahi Mahi and 2 Shibi. Great job guys! 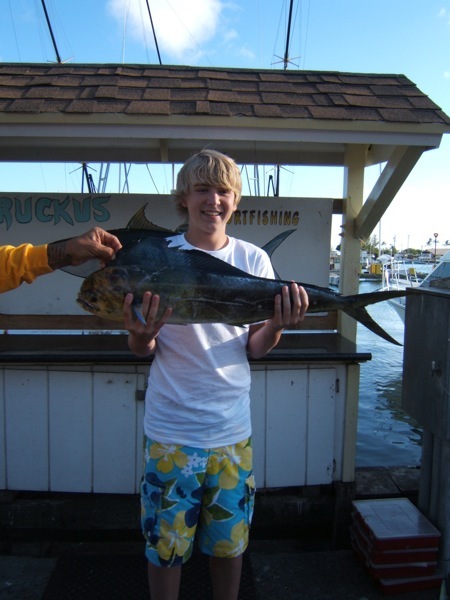 The Ruckus caught an Ono while deep sea fishing out of Waikiki today. Way to go! 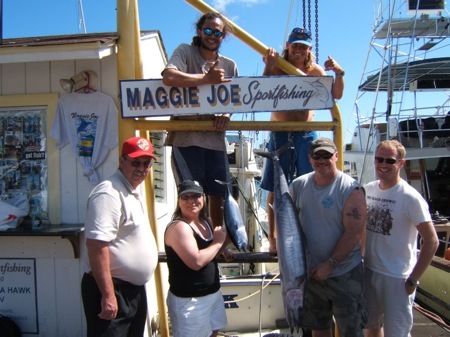 The Maggie Joe had a wonderful day enjoying Hawaii’s waters while deep sea fishing off Oahu. They brought in 1 Mahi Mahi. 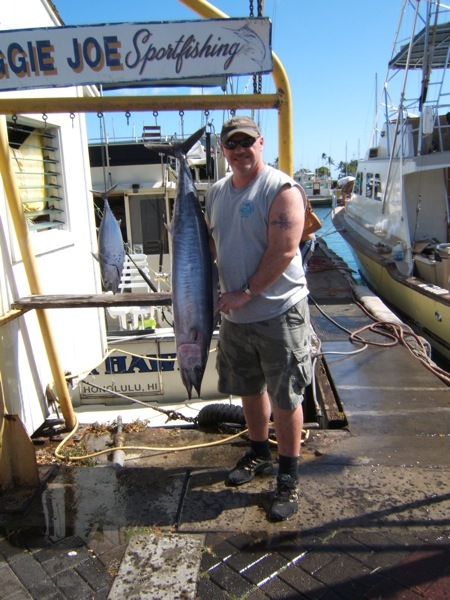 The Sea Hawk had a great day sport fishing off of Oahu. 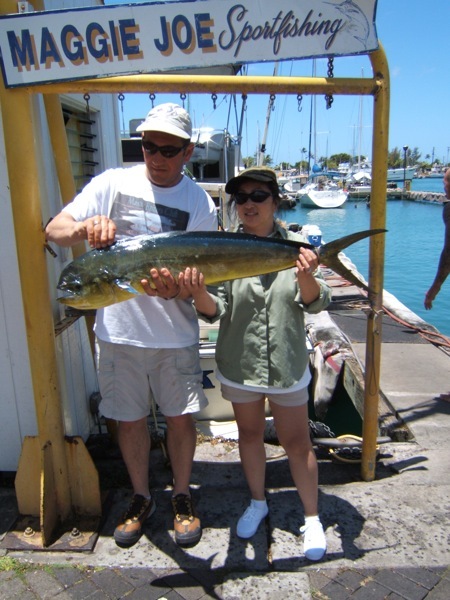 Greg & Jadie are showing off their Mahi Mahi caught on board the Sea Hawk. Great job guys!